trict Headquarters, to discuss the conflict situation in the Region, openly share information and develop strategies that can promote peace. Another disturbing realization at the meeting was that Cultural institutions attempted to create arbitrary and exclusive geo-cultural spaces contrary to the law governing these cultural institutions especially Article 246 of the 1995 Constitution of Uganda and 2011 institution of Traditional or Cultural Leaders Act. 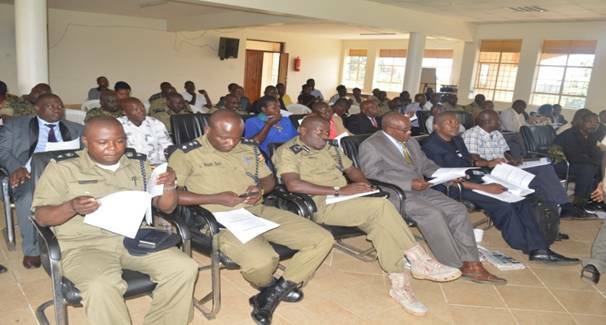 However it was observed that the government and CSOs had worked together in a bid to restoring peace and harmony in the region amidst hard environment, and that the current situation in the Rwenzori region required urgent interventions from all actors. Government should clearly guide how two or more cultural institutions can co-exist in one area. To pay immediate attention to the land issues in the region hereby instituting a special technical committee to make a detailed investigation into the land question in the Rwenzori region to among others; compensate legitimate land claimants and also look into the land distribution process between the cattle keepers and the crop farmers in Kasese. To actively participate in giving right information and guide the youth to avoid dangerous groupings and activities. To stick on their cultural mandate as provided for in the laws of Uganda..
To strive to implement recommendations in the various peace/communiqués and also support values that promote peaceful co-existence.